We are a professional cleaning firm that offers end of tenancy cleaning with the latest techniques for a quick and efficient job. Our cleaners have years of experience with that they do. Here in London, probably near your home, is our office where you can come and inform yourself about our services. We believe we are the right choice for you because we do our job not only with professionalism but also with a smiling attitude. Don’t hesitate to contact us or swing by our office to learn more about us. We guarantee that we will leave you pleased with the results of our work. If you are a landlord and you had your property recently emptied by your last tenants, maybe you need a professional cleaning service to make it ready for you next ones. 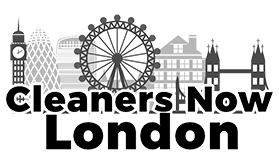 We are located in London but also provide services around town, you only need to call us so we can talk about your needs. We are quick and efficient in what we do because we have many years of experience behind our backs. Your property will be left spotless without any trace of the last tenants. Be sure that if you hire us you will hire the best in the field of end of tenancy cleaning. “This company was recommended to me when I was moving out. “Recently I used your end of tenancy cleaning and you made me really happy.